Sen. Ralph Hise unveiled a change in law Thursday that may have major implications for the Affordable Care Act. A bipartisan-backed proposal to help North Carolina schools recruit campus psychologists received a major makeover in a Senate committee Thursday that may destabilize the state’s Affordable Care Act (ACA) marketplace, advocates say. Senate Republicans unveiled the new portions of House Bill 933 at a committee meeting Thursday morning, potentially clearing surprise provisions aimed purportedly at lowering the threshold for small employers to offer self-funded health plans and, perhaps most importantly, clearing less-regulated association health plans for membership organizations like the N.C. Farm Bureau. “These people, as I move around the state, are coming to me asking whether Farm Bureau can help them,” Farm Bureau President Larry Wooten told Senate lawmakers. 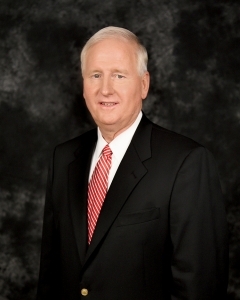 The Farm Bureau provides insurance, banking, and other benefits to their members in North Carolina. They also advocate for agricultural interests at the N.C. General Assembly. 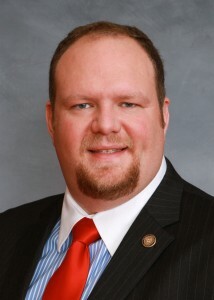 Wooten and Sen. Ralph Hise, a western North Carolina Republican who co-chairs the Senate Health Care Committee, pitched the revisions to the school safety bill as a means of expanding health insurance options for residents complaining of soaring healthcare premiums. The revisions come with federal officials considering new rules for skimpy short-term plans and association health plans. If approved by state lawmakers, the new rules would allow groups like Farm Bureau to offer health plans exempted from state oversight and from ACA regulations that protect individuals with pre-existing conditions from being excluded or facing higher premiums. Asked Thursday whether the new Farm Bureau plan would cover pre-existing conditions, Wooten did not answer the question directly. “Certainly, that would have to be something that we take under consideration as we move forward with this association health plan,” Wooten told legislators. Yet Wooten reportedly indicated in a N.C. Health News report Wednesday that the organization wouldn’t be able to offer plans without underwriting, a practice that makes it more difficult for individuals with pre-existing conditions to secure coverage. Critics say the new North Carolina proposal mirrors existing exemptions for the Farm Bureau in Tennessee, which experts have linked to one of the nation’s shakiest ACA marketplaces. Hise’s rewrite would also scrap a state law that sets a 26-employee bar for small employers who wish to offer self-funded health plans. The proposed version Hise put out Thursday does away with that threshold altogether, although Hise said it’s his intent to ultimately set a minimum bar of 10 employees. Some companies suggest that such plans may allow them to limit costs, although experts note they’re a much riskier option for employees. Democrats seemed to struggle with the health care implications Thursday, particularly given Republicans bundled the reforms with a widely-supported school psychologist recruiting effort proposed in a school safety committee this year following a deadly shooting at a Parkland, Fla., high school. The House approved the bill unanimously last month. Lawmakers did not take a vote on the Senate committee rewrite Thursday, although Republicans said they may hold at a vote at the panel’s still unscheduled next meeting. Wooten said that his group has been working on the plan for two years, although the details emerged in a Senate committee Thursday with little or no public notice. Opponents say the state Senate measure coincides with a GOP push to allow for slim plans in alternative marketplaces catered to “healthy” individuals, a push that threatens to weaken the ACA marketplace and drive up costs for sick individuals. Under the guise of improving affordability, the bill would allow for the creation of new health insurance plans that would not be subject to state and federal insurance rules. That means that these plans would be able to discriminate against North Carolinians with pre-existing conditions by either refusing to cover them or charging them higher premiums based on their medical history. Even those who are able to “pass” the medical underwriting test may end up in plans that do not provide coverage for essential health care services they need, as these plans are completely exempt from existing insurance law. By cherry picking young and healthy enrollees, these new plans would leave a sicker risk pool in the individual market, destabilizing the insurance market and causing premiums to skyrocket for those in need of comprehensive coverage. The state of Tennessee has already experimented with this disastrous proposal, as they’ve allowed these unregulated insurance plans to be sold by the Farm Bureau since the early 1990s. As a result, these plans have cherry picked enrollment out of the individual market, and they have the second-worst individual market risk score in the entire country. In short, that means that people with pre-existing conditions face even higher premium costs as the risk pool is disproportionately older and sicker. This proposal seeks to turn the roughly 863,500 North Carolinians on the individual market over to a de facto high risk pool. Proponents of this proposal, including the NC Farm Bureau, cite unaffordable premiums for many small businesses, but there’s a simpler solution that doesn’t rob sick Peter to pay healthy Paul: close the coverage gap by expanding Medicaid. Many farmers, fisherman, and other low-wage workers and small business employees are in the coverage gap.